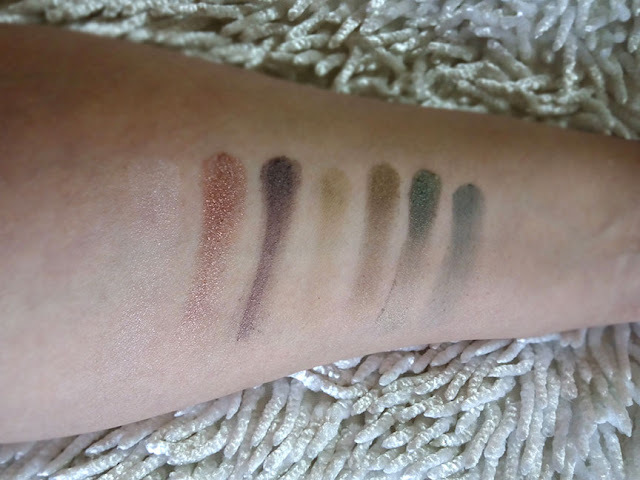 One of my favorite eye shadow palette "I Heart Chocolate" is by Makeup Revolution London which I have also reviewed on my blog. When Makeup Revolution sent their "Fortune Favors the Brave" palette I was obviously over the moon. Is this palette as delicious as it looks? 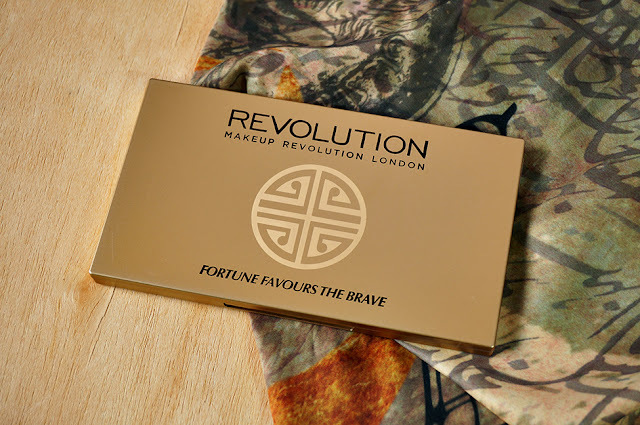 I have been using, as well as reviewing, a lot of beauty products from the Makeup Revolution London. 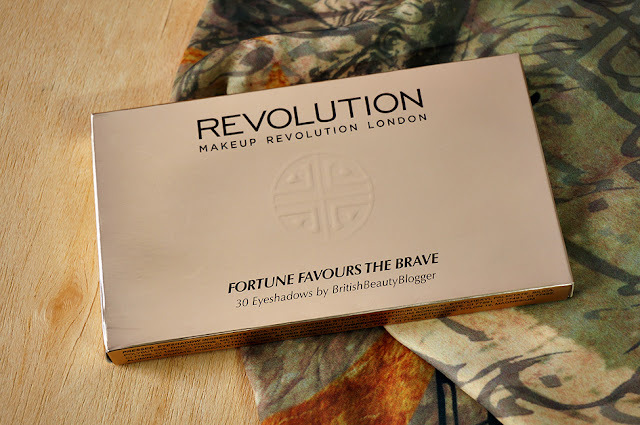 When I got the "Fortune Favors the Brave" palette I was excited and also had great expectations as the previous eye shadow palettes and singles I used from this brand have been really good, so far. What is so special about this palette? 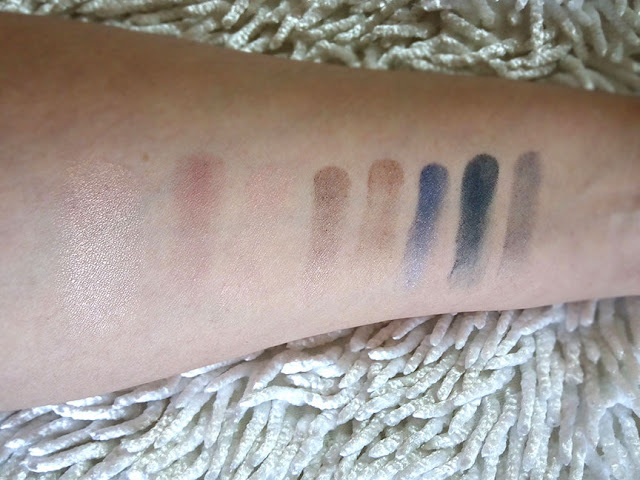 British Beauty Blogger (Jane) teamed up with *Makeup Revolution to create it. So this is a result of a fun collaboration. 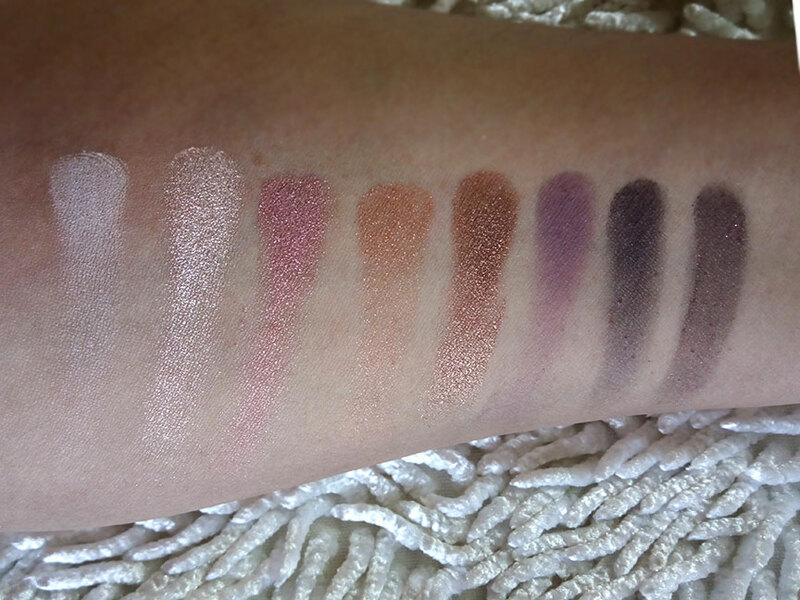 When you look at this palette your eyes will twinkle with enthusiasm. The packaging, inside and out, is very glamorous with a subtle "Oriental" feel. The casing is gold, very unlike the usual MUR black casing, but that gives it an edge while making it stand out. I also liked the fact they had a dual ended eye brush instead of sponge applicator included. The palette contains 30 eye shades, keeping in mind "every woman" no matter what the race, age or skin tone. There is something for everyone, light to dark as well as matte and shimmers, a mix of many. As per brand the ultra sheens are light but blendable, the mattes are super pigmented and the shimmers add a little twinkle to your eyes. I do agree that when you see the diversity of shades in this palette you can think of creating many different eye looks. 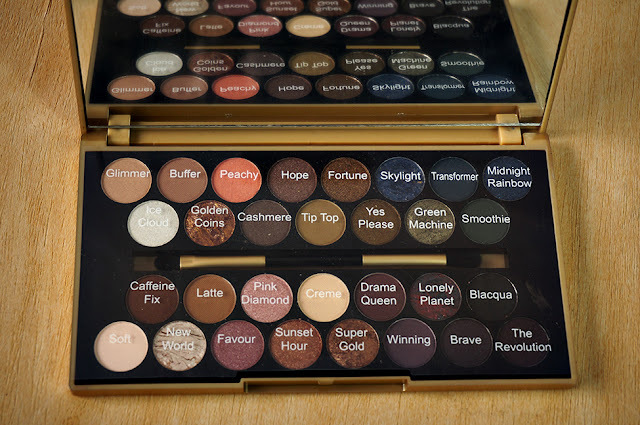 A handy palette if you want to take just one for travelling (which usually never happens!). Now I must confess, I was not 100% satisfied with all the shades. The formula varies, some of the shades are really pigmented with a smooth formula like Golden Coins, Lonely Planet, New World and Super Gold. Others were a bit disappointing with no pigmentation, neither did it give good color pay off, like Glimmer, Peachy, Midnight Rainbow, Tip Top, Smoothie, Latte, Crème, Soft and Pink Diamond. 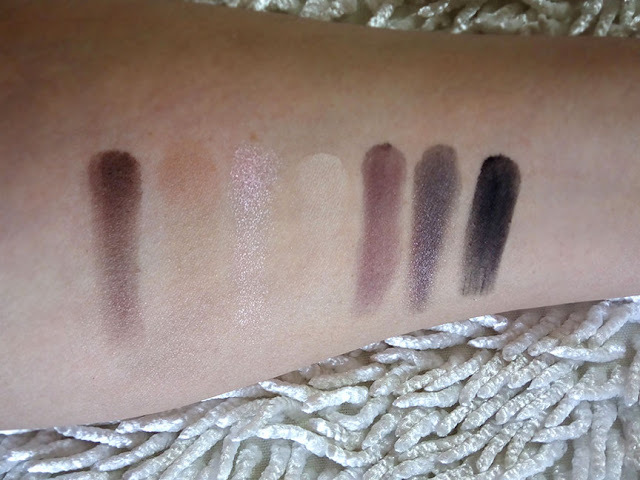 Basically I found the baked shades and darker shades much better in formula, blending as well as pigmentation compared to most lighter one. The lighter shades in the "I heart Chocolate" palette were amazing though. 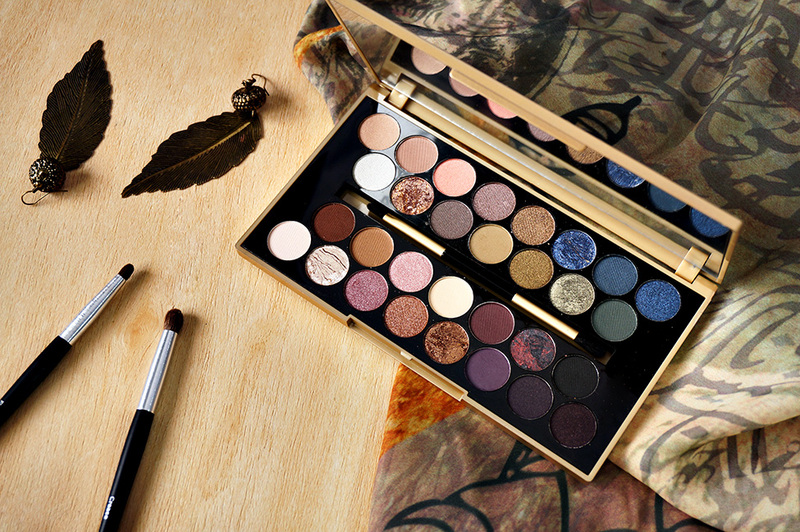 In it's entirety, its a good palette with an even more amazing price tag of £9.98. 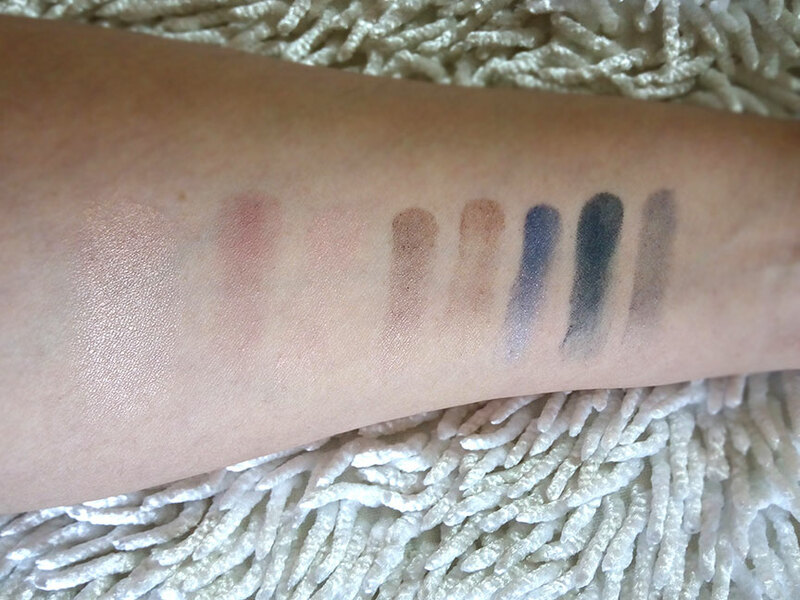 I swatched these without a primer to get the real feel. With primer the lighter shades will work a little better. 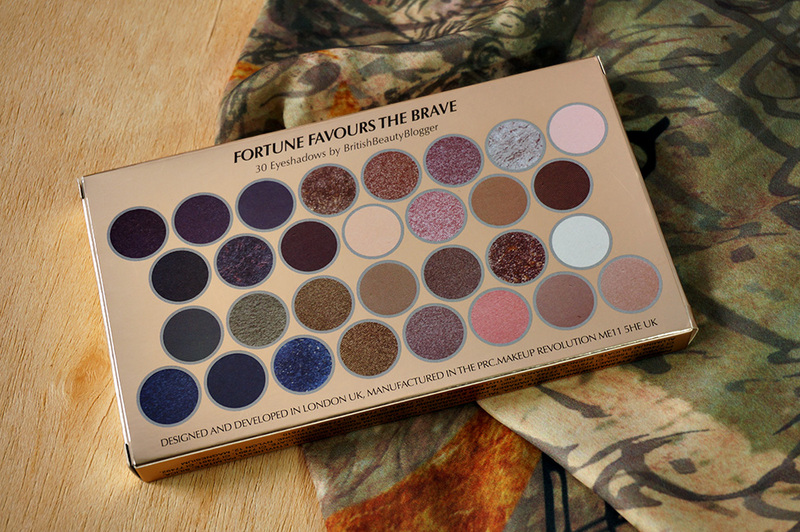 The "Fortune Favors the Brave" palette is available for PKR.1,950 in major makeup shops all across Pakistan as well as Online on Beauty Bar and Reforma. Its also available on the Makeup Revolution website HERE. Love the packaging!! But i don't know why but I find the payoff not too good. 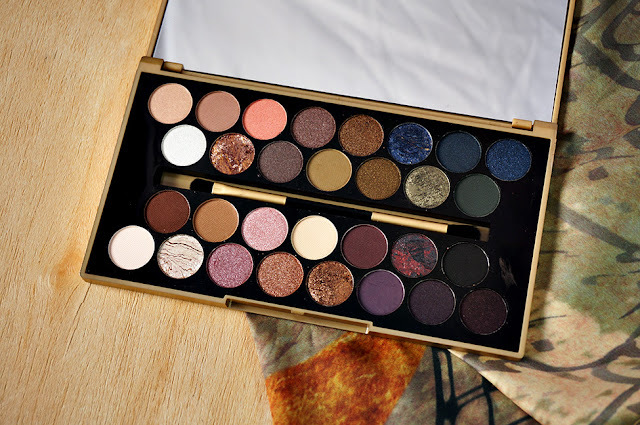 Maliha so what would recommend this palette or the makeup kit the big one with all shades and blushes by E.L.F? I am not particularly fond of the pigmentation of ELF shadows to be honest. all colors of this palette are so beautiful.. amazing blog. thanks for info about this palatte.